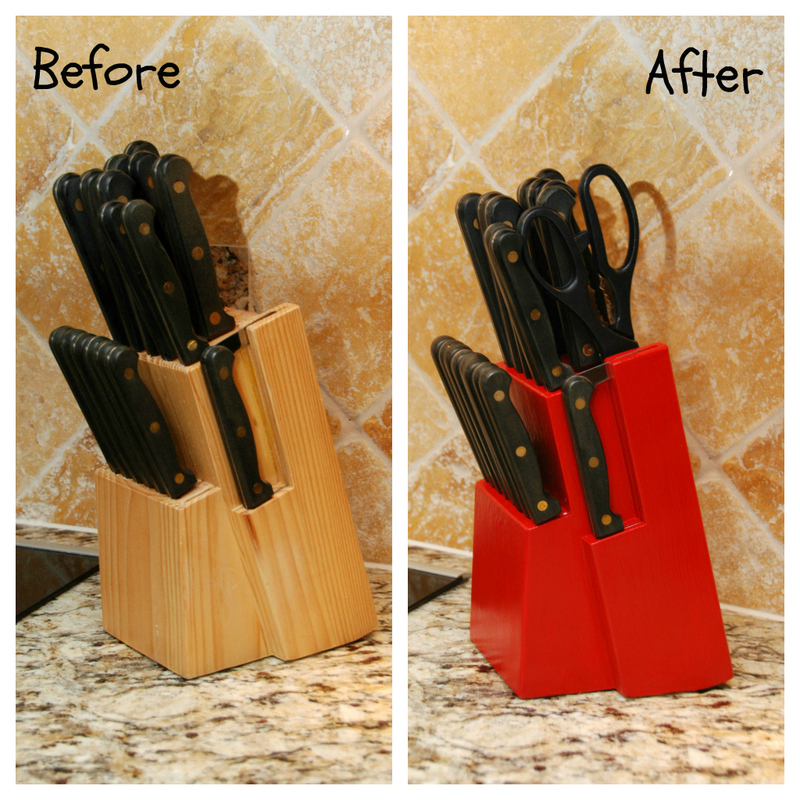 When I was editing the pictures from my Saddle Stool Redo post, I hated how my knife block looked in the pictures. It bugged me so much, that I ended up cropping it out of the pictures completely. Luckily, I had some paint left over from finishing the stools in the kitchen. 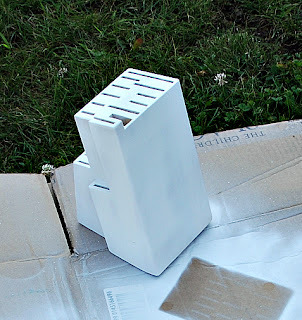 What better way to spice up a knife block than paint it! Don't worry I know my knives are backwards. A while ago when I took my knives to get sharpened. The man told me that I should turn them around in the knife block so they would be less likely to dull because of the wood. I have kept them backwards ever since. I didn't sand the knife block because there was no finish on it to begin with. I primed the knife block with 2 coats of Zinsser Cover Stain Primer Aerosol. 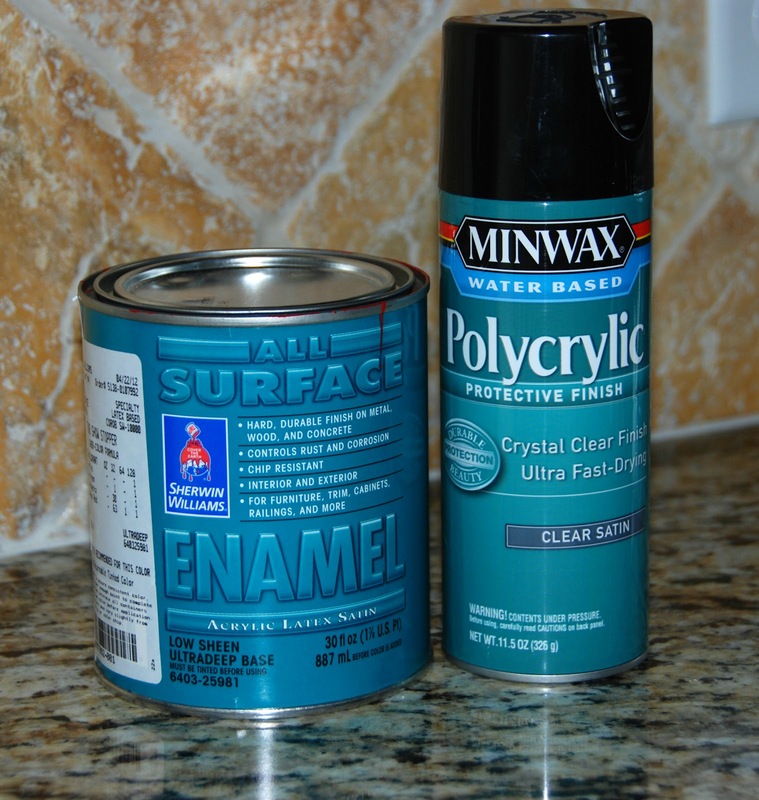 Once the primer was dry to the touch, I applied 3 coats of Sherwin Williams All Surface Enamel Acrylic Latex Satin in Show Stopper to paint the knife block. I waited 6 hours between each coat to make sure I didn't lift the previous layers. 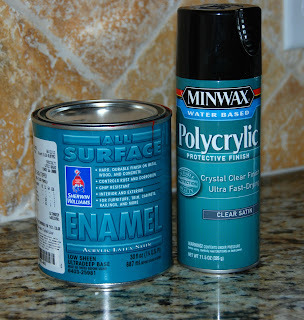 After allowing the paint to set for 24 hours, I applied 2 coats of Minwax Water Based Polycrylic Aerosol in Clear Satin. I let the poly dry for 24 hours and then returned the knife block to my counter. I am loving all the pops of red in my kitchen! Watch for the upcoming reveal of my kitchen with all its new accessories!!!! Nice, that really seems to make the block stand out. 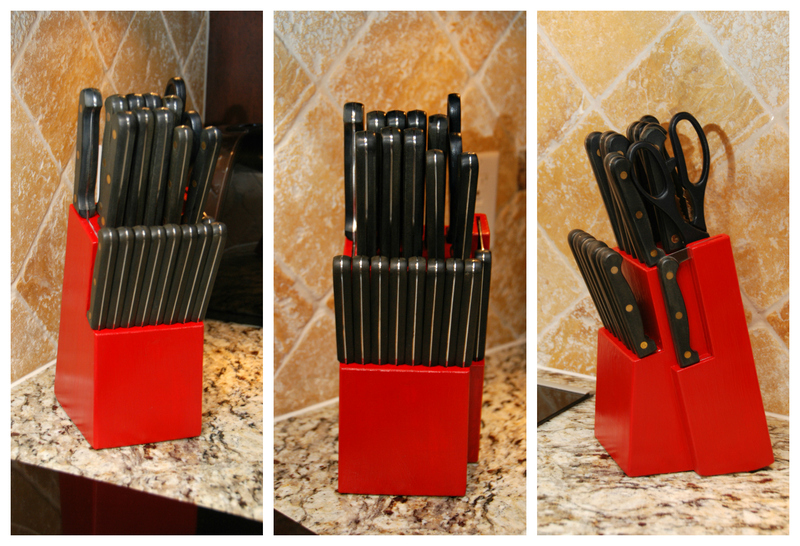 Love the red knife block! I did something similar to mine and I still smile when I see it. So cheery! Great refashion for the kitchen! I would love for you to link this up to The CSI project this week. The challenge is refashions/upcycles. This would be perfect and you just might WIN! Come on over each week for a new challenge, new tutorials and new judges.